A quick reminder, in case you have a few gold chests left to find. 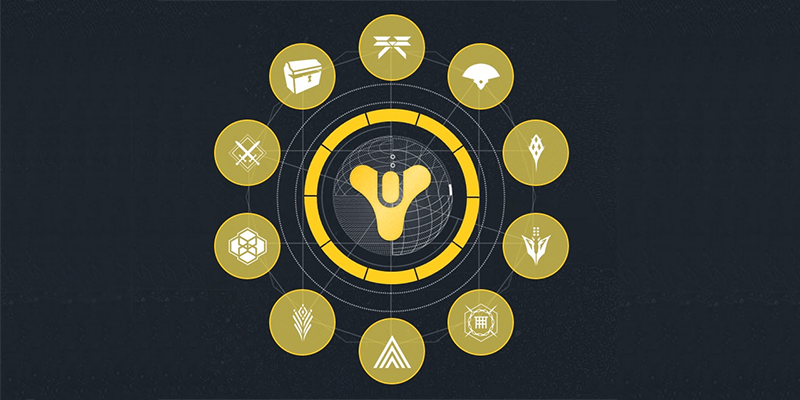 A little while back, Bungie announced that all year-one Destiny players who complete a series of challenges in the game would earn an exclusive emblem that they could lord over all the rookies who’ll join up when the Taken King expansion comes out in September. The challenges need to be completed by September 9, which is a little over a week away. Update 9/3: Bungie has given everyone an extension. You’ve now got until midnight Pacific on the 14th. Get ‘er done! Most of those are no problem, and hopefully you’ve knocked out most of yours already. If you haven’t completed one or two of them and you want the emblem, better get moving. While some players might spend this weekend grinding out 100 Crucible wins (godspeed) or beating Crota on hard (it’s easy now), I’m guessing most people will only have one of two things left to do: Defeating Skolas and getting all of the gold chests. As for the chests, there are a ton of resources for finding them all around the internet. This one at DestinyTracker.com is solid. I knocked out all the chests in an hour or so a little while back, and it was mostly painless. Kind of fun, even! You can check your progress at Bungie.net, and when you’re done, you’ll get a notification that you have Become Legend™. Congrats! You did it. You’ve “achieved the tagline,” as we say in the biz. You can now stop playing Destiny forever.